I didn't know there was such a thing as a CC cream for your hair but I suppose it makes sense. 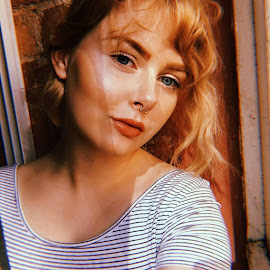 I have been bleaching and dying my hair since I was 15 and never really went out of my way to take care of it any more than normal because I just couldn't be bothered. 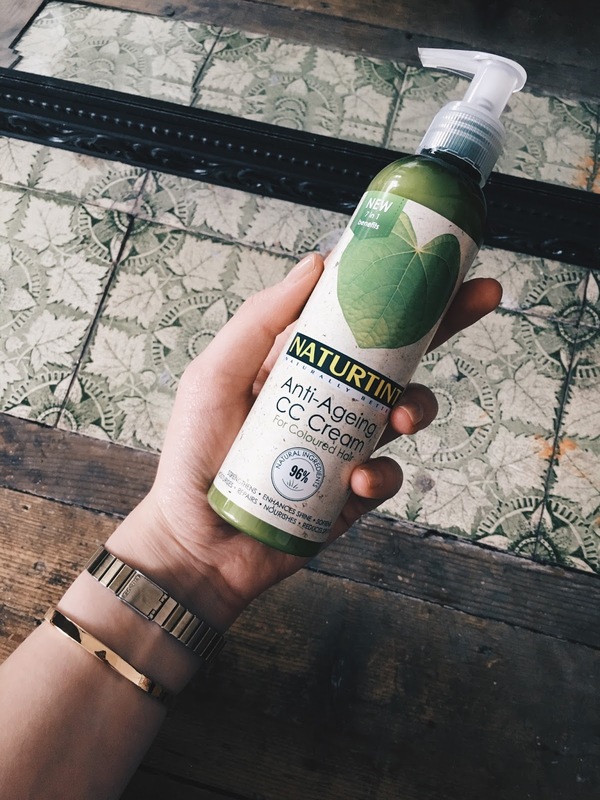 However, since receiving and using Naturtint's Anti-Ageing CC Cream for coloured hair I have noticed a massive difference in the condition of my hair. I've been using it once every couple of weeks and my hair has honestly never been so soft or shiny. It claims to strengthen, shine, soften, moisturise, repair, nourish and reduce split ends; all of which I honestly believe. It has 4 ingredients it boasts about particularly.
" Baobab Extract - A naturally active anti-ageing complex that nourishes and protects. Hydrolysed Wheat Protein - Adds volume, strength and reduces breakage by up to 80%. Hydrolysed Pea Extract - Repairs damaged hair fibres. Sunflower Floral Water - Antioxidant and anti-ageing. Naturally seals split ends and locks in colour. " Now, I feel like some people would be freaked to know that they were putting things like pea protein in their hair. This is something I've never understood. You see so many ridiculous shampoo and hair care adverts on TV and in magazines claiming they've developed a 'new technology' which will magically fix your hair when of course it's usually just a bunch of chemicals and things you've never heard of. I suppose if they said you were putting chemicals in your hair you might be put off a bit... What I'm trying to say is that surely it makes a lot more sense to be putting natural things in your hair as opposed to chemicals, especially if they work just as well, if not better! When using this CC cream, you towel dry freshly washed hair - I have found it best to wash with just shampoo and no conditioner when using - massage a couple of pumps of the cream from the roots to the tips of your hair, comb or brush through then dry and style as normal. YOU DON'T HAVE TO WASH IT OUT. I'm starting to wonder why I didn't bother to take care of my hair sooner because this is the easiest thing to do and doesn't take up any extra time. I'm obsessed. Also because you only use a very small amount each time, and only once every couple of weeks, the bottle should last quite a while.